If I hadn't been looking at the figures on my chemistry panel I wouldn't have believed it. All my life my triglycerides, LDL (bad fats) and HDL (good fats) had been very good. In the past 3 months the first two had skyrocketed while the latter had plummeted. The LDL/HDL ratio was definitely not good. But what had caused this? My diet was better than ever. I had even added some "very nutritious" oils. When I mentioned the "unrefined" "cold pressed" safflower, sunflower, canola and walnut oils to an associate, to my utter surprise he told me of recent studies showing these oils become trans fats (the worst kind) once in the body. This was contrary to all I had learned in college and the many years since. Then highly respected researcher, Udo Erasmus, explained and in his excellent book, Fats That Heal, Fats That Kill the reason. Before I tell you what I "discovered," let's first do a brief survey on fat and oils (lipids). Early in this century, beans, seeds and vegetable oils were processed by pressing with large rollers. This true, cold pressing produced whole, abundantly nutritious substances, including Vit. E, an antioxidant, and lecithin which emulsifies fats. But this processing left much oil in the pulp and it required refrigeration to deter rancidity. Additionally, the oils had robust flavors, were dark and cloudy due to sediment. During the "Roaring Twenties" of the twentieth century sophisticated refining was implemented involving heat and chemical solvents. The new processing meant no refrigerating expense, and a long shelf life, i.e. more profit for merchants. HEXANE FREE AND COLD PRESSED--ARE THEY WHAT YOU THINK? Almost all supermarket oils are extracted with chemical solvents such as hexane (related to gasoline), an irritant to the central nervous system and lungs. Hexane can cause cough, depression, heart problems, vomiting, abdominal swelling, and headaches. One leading nutritionist declared such solvents to be extremely harmful. "Hexane free" and "cold pressed" are usually misleading, they simply mean the oil was not extracted with solvents, according to Ann Marie Gittleman, MS, nationally known nutritionist. Usually so-called cold pressed oils have been submitted to temperatures above 1400. Seeds are precooked at high temperatures to break down the outer layers for higher profits. Both solvent-extracted and most cold pressed/expeller-pressed oils are put through many stages of further processing. Bleaching, and deodorizing with the chemical we know as Drano, are two of them. It seems that all food oils (including HFS oils) except for a couple I will tell you about, are excessively heated during processing, hence the oils in nearly all processed foods (including HFS) are also heat-damaged. What difference does that make? A HUGE one. It was the cause of my problem. It is true that safflower oil is one of the best sources of the essential fatty acid cis-linoleic acid, which is necessary for the prostaglandins that control all our cells. When cis-linoleic acid is heated, however, some of it becomes trans-linoleic acid, a solid, unnatural form that cannot be converted. Cis fats melt at 55o whereas trans fats require up to 1110. With human bodily temperature normally at 980-990, what happens to trans fats in the body? They remain solid. The once-healthy Eskimos thrived on a diet of 70% fat calories before they were introduced to the Standard American Diet (SAD) of 40% fat calories. Most of the SAD fat derives from heat-damaged fats whereas the Eskimos' fats were raw, natural and bioavailable. The Americanized Eskimos are now suffering our health problems. It doesn't take a rocket scientist to see the part solid trans fats in the body contribute to degenerative diseases. 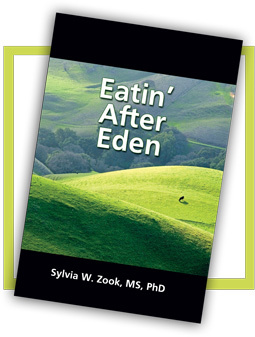 "These damaged fat sources render fat biologically impotent," says Gittleman, in her book, Beyond Pritikin. Rather than swearing off all oils and "throwing the baby out with the bath water," as did Dr. Pritikin and his disciples, stay with me and see why it is not only very important that we not eat the bad fats but that we do eat the good ones! Before we get to that, let me explain hydrogenation, oxidation, and homogenization, the other major ways oils are damaged. Even before margarine is hydrogenated and the "evil" compounded, the oil has already been heated and otherwise damaged. The initial problem is the heating of the oil and much other processing. Even the medical community now accepts what the natural community has been saying for many years--margarine and vegetable shortening are bad for us because of the hydrogenation factor. Why? Hydrogenation adds "insult to injury." It converts damaged liquid oils to hard fats, destroying natural fatty acids in even greater numbers by converting the natural form into the biologically-impaired trans form. How is this done? As hydrogen gas is injected into processed oils, "empty slots" in the oil's molecular chain are filled, forming trans fatty acids (TFA). These counterfeit TFA act like the real things, even replacing essential fatty acids (EFA) in cell membranes. If a house was built with faulty materials in the walls, doors and windows, thieves, rain, and insects would soon be able to enter easily. When cell membranes are built with corrupted material, TFA, the defective structures are more permeable to viruses and pathogens of every kind. Soon the body's defense system is doubly compromised--from TFA as well as candida and other pathogenic onslaught. Again, not only can TFA not be used by our bodies to produce essential prostaglandins, they prevent such formation by cis-fatty acids. Together with Candida albicans, these aberrant "misfits" weaken the body's defense mechanism, the immune system (IS), so vital for fighting viruses, parasites, cancer, etc. So you see, for candida fighters and anyone who wants to become and stay well, the choices of fats/oils in the diet are extremely important ones! Margarine is 30% trans-fatty acids, shortening is 47% TFA. Since the fat globules in butter are too large to pass through the gut (more about that), moderate amounts of it (organic) is the better choice of a spread, etc. (see A Better Butter Spread below). Butyric acid in butter is beneficial to the good intestinal bacteria. We will have more to say about the benefits of butter in the next issue. Oxidation also harms fats. Oils exposed to oxygen develop peroxides, or free radicals (see Vol 1 No. 2) that cause rancidity. Polyunsaturates, due to their double bonds, have more potential oxygen-bonding sites, i.e. they more quickly become oxidized or rancid than monounsaturates within or without the body. In other words, the more unsaturated the oil, the quicker it can become rancid. When this occurs, free radicals are produced, leading to premature aging (internally and externally) and major degenerative diseases. Raw, "living" flax oil, a polyunsaturate, is an excellent EFA when refrigerated and used before it becomes rancid. Temperature has much to do with oxidation. Oils (except one) stored at room temperature become rancid much more quickly than those refrigerated at 380. Heated oils oxidize very quickly. Frying not only rapidly oxidizes but also converts the cis fat to trans fat. Oils are often heated to such high temperatures even before they purchased. God placed within natural oils antioxidants (see Vol. 1 No. 2) that prevent rancidity, foolish man removes or destroys these during "refining" to his peril. Another means of extending shelf life and increasing the profit center is homogenization. Dr. Kurt A. Oster, Chief of Cardiology Emeritus at Park City Hospital, Bridgeport, CT, discovered that this processing definitely is not for the good of the consumer. He reported that normally milk fat occurs in large globules, that homogenization breaks these up into tiny droplets that can bypass digestion and be absorbed directly into the bloodstream along with the destructive enzyme xanthine oxidase (XO) (and much more so with candida's "leaky gut syndrome") Dr. Oster found that XO, coursing through the bloodstream, can damage arteries by attacking plasmalogen, part of the artery walls and heart tissue. This forms a lesion on the artery wall, weakening the tissue and attracting fats which cover the lesion in an effort to heal it. Plaque builds up and the "bottom line" is coronary disease due to constriction. Dr. Oster called homogenized milk "the time bomb in your refrigerator." (See his book, The XO Factor previously mentioned.) Calves die on pasteurized milk, however, we can no longer recommend raw milk either unless one knows for certain there is no contamination. And yes, there are other reasons to eliminate milk from the diet. Animals use milk solely as babies, only man continues drinking it. Highly credible research shows milk can also cause juvenile diabetes. Along with wheat, today's milk is a top allergen. People say to me, "But milk is such a good source of calcium--it prevents osteoporosis." Oh, really? Studies show this form of calcium is not easily assimilated by humans. (One reason is that its protein prevents this.) It is not coincidental that countries which have the highest consumption of dairy products, also have the highest rates of osteoporosis! (Very different from human milk which builds brain rather than brawn, the calcium/ phosphorous ratio in raw milk works well for calves but not for humans.) The 70% of the world that does not drink milk and gets its calcium from plants (as cows do), has far better bones. Besides calcium, vitamins. C, D and K, boron, zinc, magnesium, manganese and exercise are important for prevention and management of osteoporosis. The high protein PCC (candida) diet can pull calcium out of the bones. I take crystalline hydroxyapatite, mineralized bone (not bone meal which is ash and may have lead in it). Most health-conscious people today have been taught through various media that saturated fats such as animal fats, refined coconut, palm and palm kernel are "bad." You now know most oils are unhealthy. The three grades of olive oil are determined by the methods of extraction--pure, virgin, and extra virgin. The last two are truly cold pressed, involving hand or hydraulic pressing that generates no heat. Extra virgin, with light to deep green coloring, is made from the choicest olives. Virgin also comes from a first pressing but with a lower quality olive. "Pure" olive oil comes from combined refined oils from subsequent pressings and we don't recommend it. Olive oil thickens when chilled. Slow to become rancid, and soon used on our table, we keep tightly closed in the cupboard with no problem. In the esteemed New England Journal of Medicine, March 1986, Dr. Scott M. Grundy, Director of the University of Texas Health Sciences Center, proved that monounsaturates were "more successful at protecting arteries from clogging cholesterol than a low-fat diet." How did I get my blood lipid down to a healthy level so quickly? You guessed it--I eliminated all oils except EV olive oil, and added ground, raw flax seeds (9 tbsp.= 1 tbsp oil), plus 1 tbsp. flax oil, and supplements for other essential fatty acids and GLA. 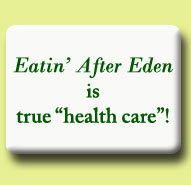 As Erasmus told us, there are fats that kill and fats that heal. Essential fatty acids (called "essential" because they cannot be produced by the body) are very important to candida/IDS fighters for many vital functions. No one can survive without vitamin F (EFA). For years we fought purslane "weeds" in our garden until we learned that it is literally loaded with the best (and most expensive) antioxidants, including the powerful glutathione, plus essential fatty acids like Omega-3. It tastes good. Use it in green salads. Speaking of salads, if you don't have a garden, salad ingredients are very easily grown in flower beds and pots, even on balconies as my 80 year old mother does. Commercial salad dressings include damaged oils, often sugar (it may not be listed), and fermented vinegar. The first two are not good for anyone; the latter is a no-no for Candida albicans fighters (use lemon juice instead). Experiment until you find the proportions and ingredients right for your family. Bon appetite!